Maibachl, behind the Warmbaderhof Hotel, is a natural thermal spring which flows to the surface only twice per year and often attract loads of bathers to soak in the mineral-rich natural warm bath. For the rest of the year, the small depression in the forest ground is just a dry barren spot. 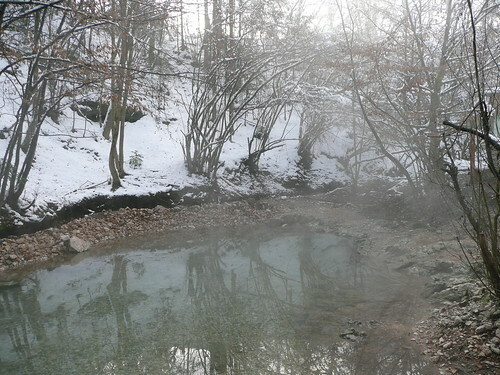 And on the 10th of January 2010, we were lucky to chance upon the thermal spring! The spring water was not exactly warm but more tap water temperature. Perhaps the thermal spring has already stopped flowing onto the surface and the water temperature simply cooled down over time. Nevertheless, it did not discourage some from exposing their bare feet to the near zero chillness to waddle in the small pool. 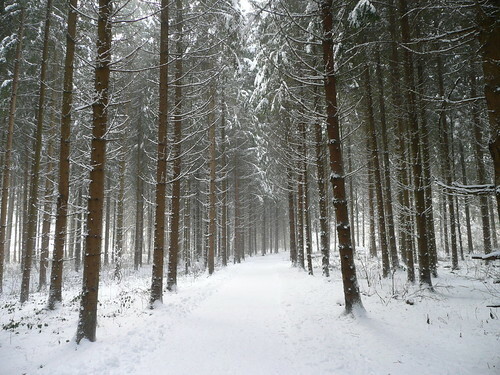 It is common for the locals to spend their weekends leisurely strolling or jogging through the forest ground. The snowing had stopped, leaving remnants of snow accumulated on barren tree branches. And every so often, when some small furry animals scurry through the tree tops, it never failed to send tiny flakes of snow raining down - if you are luck, or huge chunks of snow landing on the unsuspecting heads. 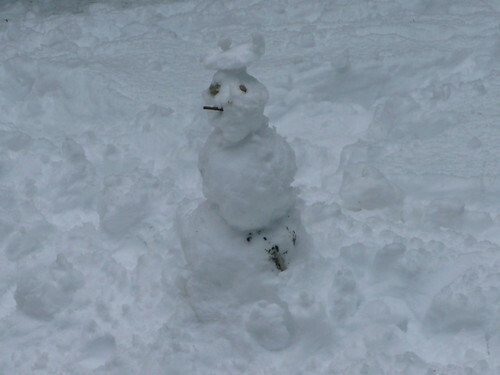 And naturally with so much snow laying alongside the walking path, what better to do than to build a snowman - and top it off with a nice hat! Are you a tarty person?